The command inspires respect. One of the rare cases when Waves is used not because it is easy to use, but because he is really more effective than the ERC20. Hu guys, you need to do your KYC verification for ICO bench which will help a lot. Also a video presentation is also needed. I like the concept overall and I wish you the best of luck. Hi Shaf! Thanks for the rating. Just to let you know the explanation video is uploaded to the profile and also the KYC has been passed. This thing sounds a bit like the Cambridge Analytics and therefore is in a bad spot for publicity at this moment. 1. Team has a related and already running product . Although I can't tell how successful that product is, it looks legit and brings certain assurance to the team's ability to deliver. 2. Team has enough business experience in the very close field. 3. That is positive, that an option to move from the Waves platform is in place, since now it looks like an outdated solution for such a technical dependent startup. Waves is developing and has a potential, but it is essential not to be fully dependent from them just in case. 1. WP disregards any substantial competition, however I can name several direct and many indirect competing companies, which won't line up to implement BEX design or technology instead of their own. 2. GDPR may be a huge obstacle for a decentralized service, as it seems now. I didn't find any substantial analysys of this challenge in the White Paper. 3. Most countries now will force service to store their nationals data only domestically, or at least to have a full copy of such data domestically. How would that be possible with the current BEX blockchain design is a mystery. 4. Tokenomics is not explained. Financial projections are missing. 5. Lack of recognizable blockchain experts and overall low number of developers. Advisors are not developing, they are advising on how-to, so it might be a good idea to show stronger development team. 6. I personally believe, that personal data collection and distribution will face many challenges shortly. There are many projects to oppose current statue of the things, when personal data are taken from it's owner and are sold without any profit sharing with a respected owner. It is a Wild West now, is shall be changed ASAP. After a deeper look into the project progress and addressing some of the points made by the BEX team, I change rates. Hope to see further progress. - CEO has run several companies. This one seems to be the blockchain version of an existing initiative Content Exchange. - Team has a large pool of relevant experience in the field of the business, which is a plus. - A couple of the team members appear to have multiple executive roles (focus). - This is a well defined business with a lot of traditional competition. That just means it is a question of execution. - Nice explanation and plan for Tranches (Tier 1-3) of money raised. - it isn't 100% clear to me why this rewards platform needs to be tokenized/ blockchain enabled. Easy arguments can be made around inherent rewards and public ledger, but I would be looking to understand what did token+blockchain add to the current Content Exchange platform product to drive them to BEX. - GDPR and ePrivacy is going to start putting pressure on these types of initiatives. That only means companies have more barriers to hop over to protect consumer data, but that may slow progress.. (Note the team addresses these points transparently and directly so they are well aware). -Waves was an interesting choice. 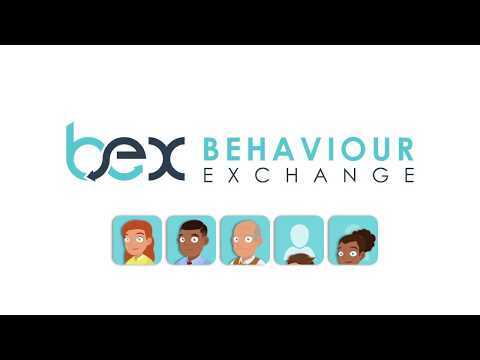 Might have advised to start on Ethereum to make getting to market faster and move to Waves and let others work out the SmartContract issues.. but it sounds like they have done their diligence here, interesting to watch..
BehaiourExchange is pursueing a much needed element in online marketing, the ability to provide a personalized experience for each visitor. The product is up and running and can be updated to include more. The use of tokens as rewards is a crowded space and won't make bex stand out. If they are competitive, there is room for many successes here.